The Professional Regulation Commission is responsible for the official results of the Veterinarian Licensure Examination. And on this page, you'll see the top 10 passers of the said exam as well as the list of passers. The September 2015 Veterinarian Licensure Examination results released in one (1) working day, according to PRC. 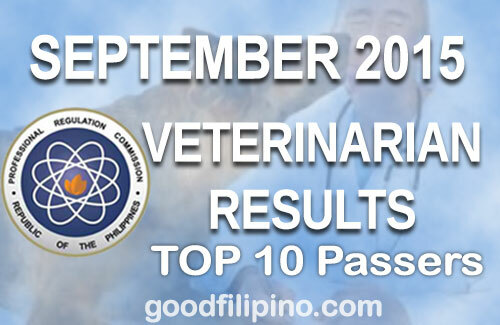 Comments or suggestions about "TOP Passers: Veterinarian Board Exam Results - List of Passers (September 2015)" is important to us, you may share it by using the comment box below.